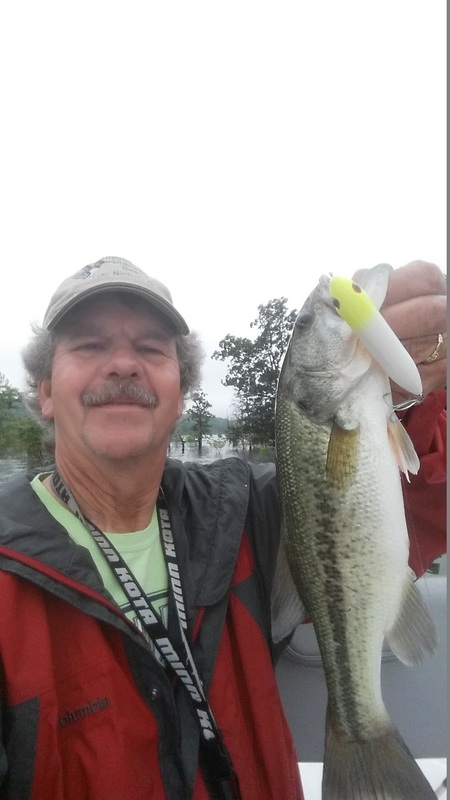 Norfork Lake fishing has been good over the last couple of weeks. 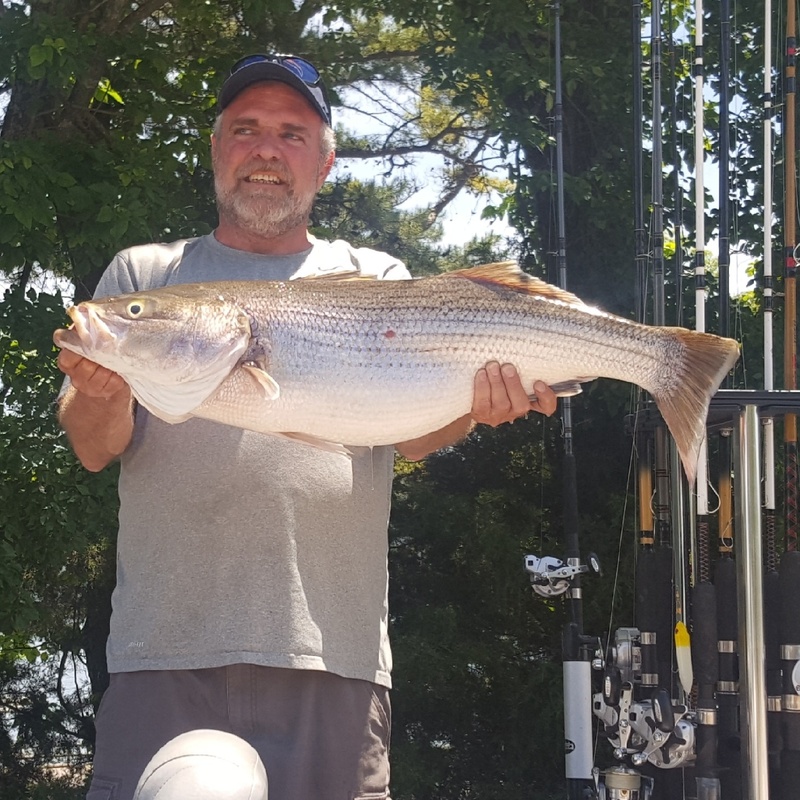 All species are biting, but the typical pattern for this time of year is different. The higher than normal water level is keeping the bait fish inside the sunken trees and brush and the fish are loving it. Plenty of places to hide and feed. The predators are, as you would guess, up inside of the brush with the bait fish. Striper fishing has been excellent from the southern portion of the mid-lake area down to the dam and east of the dam part way back into Big Creek. 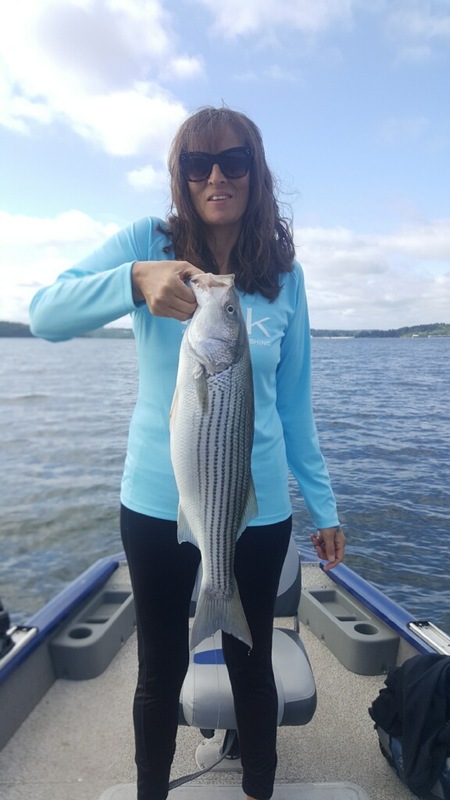 Main lake points, as well as, secondary points back into the creeks and coves have been the best areas to find the striped bass. 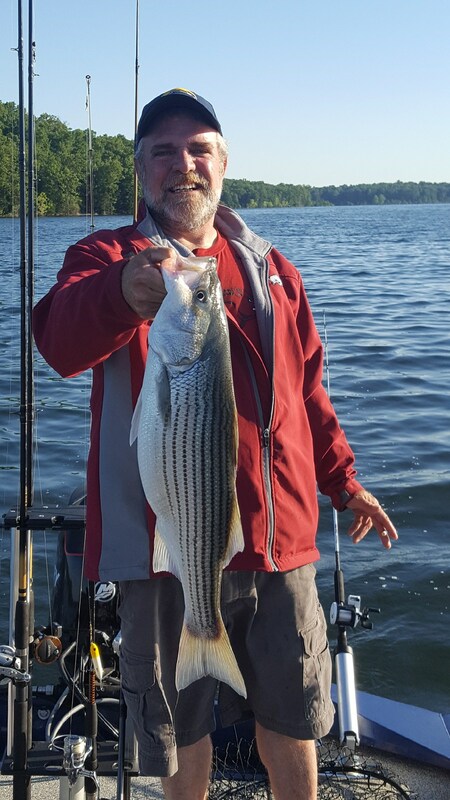 Early in the morning you can find stripers and hybrids up tight to the sunken trees and brush feeding on shad. If you can find an area with the shad flipping back in the brush, all species of fish will be in the area feeding. As the sun rises over the tree line the stripers tend to move out into deeper, cooler water. They will still be off the points, but will move out to find water temperatures in the low 60's, which at this time is about 40 - 45 feet deep. Surface water temperature is close to 80 degrees. Live bait is working the best for me. I've been using live threadfin shad, gizzard shad or larger shiners. Artificial baits that have worked for me have been swim baits, crank baits and spinner baits. I attempt to get the bait down to the tops of the sunken buck brush, and try to retrieve along the tops of the brush anywhere from 10 feet to 25 feet of water. 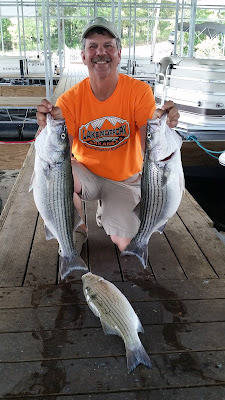 Once the stripers go deeper vertical jigging with a spoon will start working. So far though, I can't seem to beg a bite on a spoon, but they will work before long. Large and smallmouth bass fishing has been good. Early and late in the day they are up tight on the sunken brush. I have had luck over the last week casting a Zara Spook into the brush and slowing walking the dog back to the boat. I have called up many fish by this method. Crank baits and spinner baits are also working very well. 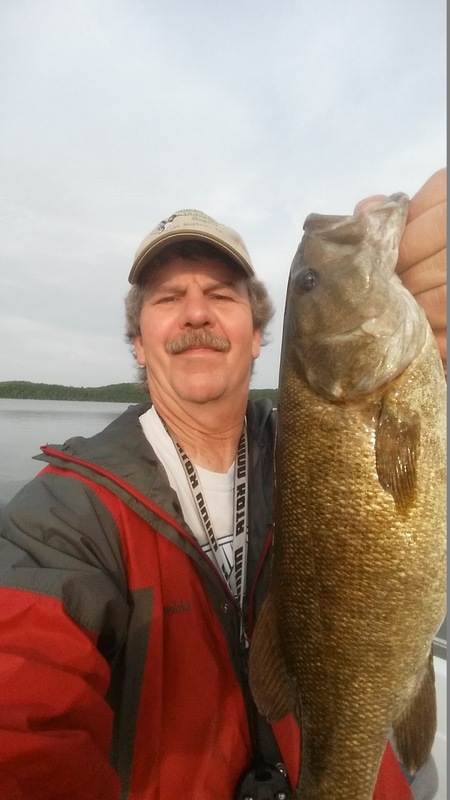 Try to get a deep diving crank bait so it will get down to the tops of the brush in 10 to 25 feet of water. The fish are inside of the brush feeding on shad. Walleye fishing has increasingly gotten better and better. Troll crank baits on the old shoreline just off of the sunken brush in 20 - 25 feet of water. I had a group of guys down last week and they were using this method of fishing. They landed well over 20 walleye, many keepers. Fire tiger was their most productive crank bait color pattern. The walleye are also moving onto the flats in the 15 - 30 feet water range. Using a Lindy rig with night crawlers has been working. You can also drop shot a large shiner, keeping it just above the bottom in the same water depth of 15 - 25 feet. Crappie and blue gills are up in the sunken brush. There has been some nice fish caught on crank baits as well as spinner baits. Live bait will be the best, but they are very hard to get to. They have moved very deep into the brush, but working the edges of the sunken brush and especially under sunken Willow trees are holding some nice fish. Catfishing has been excellent. 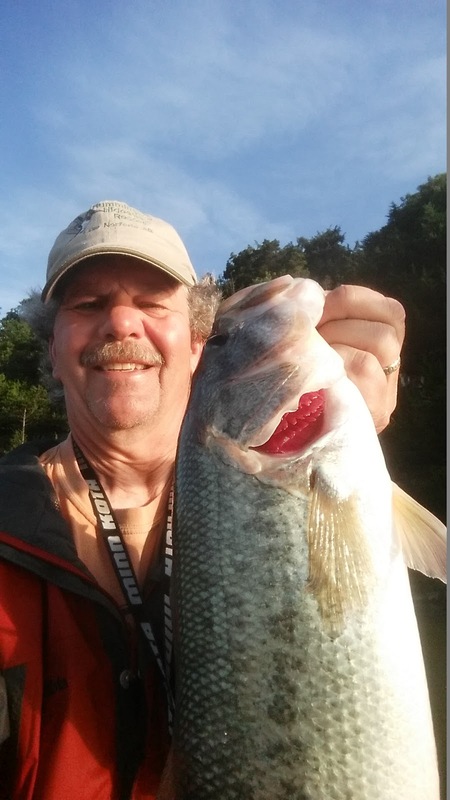 Limb lines, jugs and trot lines are all producing some really nice fish. Norfork Lake's current water level is falling slowly and is at 574.95. The current surface water temperature is in the high 70's. Parts of the lake are clear( far north up river and far south east of the dam). The remainder of the lake is slightly stained with a greenish blue color. Parts of the mid lake area around the 2 bridges are still showing a slightly brown tint of stain. Overall the lake is in great condition and is getting back to normal. I am noticing very little floating debris, but caution is still advised as always. All of our guests are enjoying the great summer weather and beautiful Norfork Lake. Plenty of lake and pool swimming is going on. The kids, as well as the adults are having a blast skiing, tubing, wake boarding, surfing and just plain old relaxing on the lake! Oh yeah, don't forget about getting a line wet and catching a few fish for supper. Norfork Lake is waiting for you and your family! 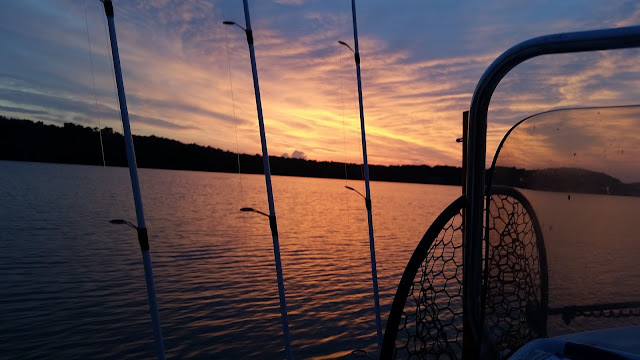 Hummingbird Hideaway Resort, lake resorts, lake vacations, largemouth bass fishing, Norfork lake fishing report, smallmouth bass fishing, striped bass fishing, walleye fishing crappie fishing.